Author Don TaylorPosted on April 30, 2016 January 25, 2017 Categories DNA, Maine Genealogical SocietyTags atDNA, Autosomal DNA, Blaine Bettinger, Genetic Genealogy, Greater Portland Chapter, mtDNA, Y-DNA2 Comments on MGS had a winning Spring Workshop. One of my early atDNA matches was on Family Tree DNA. Family Tree DNA suggested that GV and I were probably 4th cousins. He had some Roberts in his tree, but I figured that there was only a one in 32 chance that our match was on his Roberts ancestor. There was another person, MA, who shared the exact same segment of DNA with GV and me. If I could find the common ancestor between GV and MA, because of triangulation of the same segment matching, we’d know the common ancestor they share with me. I worked to help MA develop his tree further but never found a connection for him to GV and consequently never determined a common ancestor to me. Then, I did determine who my biological father is, connected with new half-siblings and have been exploring my new family tree. I thought back to my connections with GV and MA and wondered if I could find the link now. I took a look at the surnames I’ve been researching and compared them with the names in GV’s tree. Sure enough, we both had a John Roberts marrying an Elizabeth Blackwell. We found our common ancestor. Our common ancestors are our third great-grandparents, and we are of the same generation, so we are 4th cousins (sharing 59cM). That fits the amount of DNA we share perfectly. GV and I have long known we are related genetically. It is just so fulfilling to finally confirm the relationship with a paper trail. DNA Testing and Shared Research on my Darling Line. I just can’t express how important I find genetic genealogy. I often hear others talk about learning more about ancestors and finding other living relatives who might have information on your family that you don’t know. But, there is more to it than just that. Recent communications with a distant cousin of my mother-in-law reminded me of the importance of connecting with these distant DNA Cousins. Claudine Boerner and my mother-in-law are a distant match, 4th to 6th cousins on Ancestry DNA. That means that they are likely to share a common 3rd, 4th, or 5th great grandparent. I often don’t expect much on matches that distant. In my mother-in-law’s case of the 32 possible surnames, she would have among her 3rd great-grandparents, we only know 15 of them. So, the odds of finding a common ancestor between 5th or 6th can be even more daunting. In my case, having only 15 of 64 (4th great) or 15 of 128 (5th great) possible surnames the odds of finding a common ancestor seems very remote. However, in the case of Claudine, she and my mother-in-law share one common surname that we know of, Darling. We don’t know if that is the genetic connection or not, but we do know that we are both researching the Darlings in upstate New York during the 1700s and early 1800s. As she was doing her research, she came across an individual, Rufus H. Darling, whose name she remembered was in my Darling tree. She sent me a note that she had seen some information that included Rufus in the “Beekman Patent.” She mentioned some material was in a book, Dennis Darling: of Braintree and Mendon and some of his descendants 1662-1800 by William Albert Martin and Lou Ella Johnson Martin. I was able to locate a copy and found the entry where Rufus is mentioned along with his parents, whom I had determined previously (unbeknownst to Claudine). It also had the names of several of Rufus’ siblings, whose names I didn’t have previously. It included the names of Rufus’ father (Abner), siblings and his father’s name. Another Abner, and his father’s name, Ebenezer. The book has a reasonable amount of footnoting (sources) so I am able to use those to validate what I find. 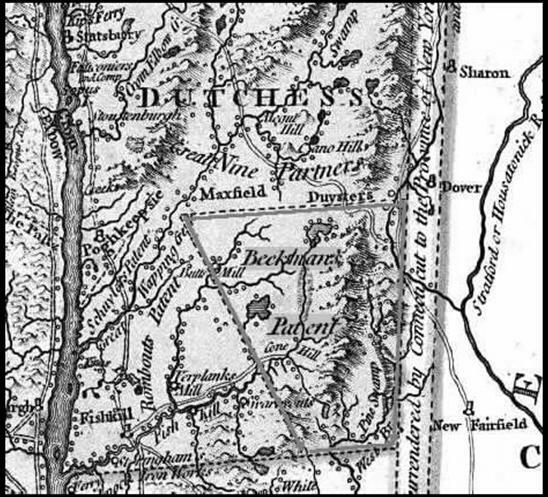 I was also able to find a website regarding “The Settlers of the Beekman Patent” Dutchess County, New York. It includes “An Historical & Genealogical Study of all 18th Century Inhabitants of the Patent.” I then contacted the author, Frank J. Doherty, of the material and asked if “The Darling Family – 12 pages” included information regarding Rufus H Darling and his father, Abner Darling (1780-1839). He replied that it did and I ordered a copy of it. I quickly received a copy of it electronically. It too is excellent. It is a 12-page document regarding the Darlings of the Beekman Patent plus another 12 pages indicating the sources of the information. It also indicates that Ebenezer’s name was Benjamin and his father’s name was Dennis. I was a little disappointed that some of the material in the Dennis Darling: of Braintree is verbatim from the Beekman Patent pages, but still, the information provided is well worth the modest fee Mr. Doherty charges. With the information in the book and Doherty’s Darling Family pages and the sources provided I have hundreds of hours of work to review, analyze, document, and verify the information, but the information, the source suggestions are invaluable. With me possibly pushing back another two to four generations on my Darling line and Claudine’s continued research, it is possible we will find our shared common ancestor. Then again, maybe that ancestor is one of the other 128 fifth great-grandparents. Either way, one significant benefit of connecting with distant cousins are the important clues they can provide to your research. [i] Source: Our Hoxie Heritage. 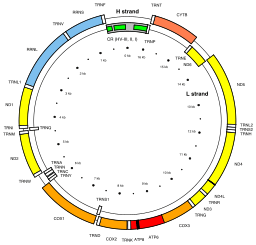 Author Don TaylorPosted on April 12, 2016 January 25, 2017 Categories Darling, DNA, DNATags Abner Darling, atDNA, Rufus Holton DarlingLeave a comment on DNA Testing and Shared Research on my Darling Line. Author Don TaylorPosted on March 20, 2016 January 27, 2017 Categories DNA, RobertsTags Ancestry, Ancestry DNA, atDNA, Finding Family, Hugh Eugene Roberts, Roberts, Y-DNA3 Comments on Finding Family – Ancestry and AncestryDNA provided the tools to determine my biological father and half-siblings.